Craig Wright to Patent Blockchain Technology? 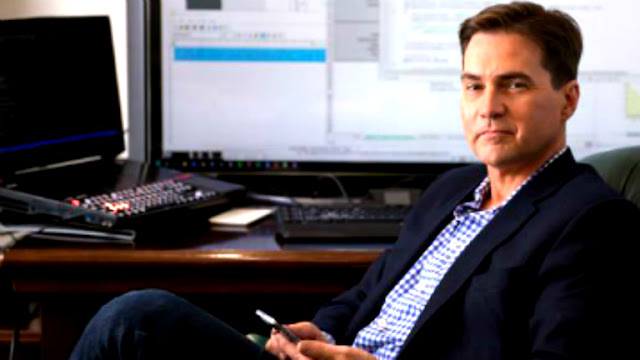 Australian businessman Craig Wright, the man who previously claimed to be the inventor of bitcoin, is looking to amass a massive number of patents that is predictably centered around blockchain technology. Bitcoin is garnering plenty of attention in recent times due to its tremendous surge in value. Headlines are being written with investor gurus among others proclaiming it to be digital gold. Many proponents go a step further, seeing the cryptocurrency as a better store of value than the traditional precious metal. The last time Bitcoin amassed such coverage, an Australian named Craig Wright stepped up and summoned a select handful of publications. He then claimed to be Satoshi Nakamoto, bitcoin’s mysterious and pseudonymous inventor. His announcement made mainstream headlines around the world. Excitement soon made way to cynicism and within days, Craig Wright had retreated, apologetically. He’s back in the headlines now. In an intriguing new account of Wright, novelist Andrew O’Hagan, a journalist who spent six months with Craig Wright shares a wide-ranging account of the entire affair. O’Hagan was right by Wright from the initial Wired- and Gizmodo-ledouting to his own subsequent self-proclaimed reveal as Satoshi Nakamoto. While the entire account by O’Hagan [it’s a long read] is entirely worth your time, a quick takeaway is just how significant it was and is to buy into the notion that Craig Wright is Satoshi Nakamoto. Associates and financial backers of Craig Wright are outlining plans to apply for “hundreds” of patents, patents devised with Wright front and center as Satoshi Nakamoto. Wright and his people were preparing dozens of patents, and each invention, in a specific way, looked to rework financial, social, legal or medical services, expanding on the basic idea of the ‘distributed public ledger’ that constitutes the blockchain. If granted some of those patent applications could prove to be significant for the likes of R3 and other blockchain-technology firms and startups. Indeed, those backing Wright are particularly keen to patent all things blockchain. The hurry for the patents was to help with the giant sale to Google or whomever. The men behind the deal were very keen to beat other blockchain developers to the punch, especially the R3 consortium of banks and financial institutions which late last year started spending a fortune trying to deploy the technology. The money men behind Craig Wright had absolved him off of his dues, writing off nearly $15 million in debt that Wright’s companies had racked up. $1.5 million had gone to Wright’s lawyers alone. The reason for backing him? To them, he was Satoshi Nakamoto. The intellectual property belonging Satoshi Nakamoto, they believed, would fetch them upwards of a billion dollars. And so it began. Since February, Wright has already filed for over 50 patent applications in Britain through an entity called EITC Holdings Ltd, registered in Antigua, Reuters revealed. 11 patent applications were filed by the firm last week alone. All patent applications filed in Britain, contain the terms “blockchain” or “distributed ledger”. It looks like he is trying to patent the fundamental building blocks of any blockchain, cryptocurrency, or distributed ledger system. Wright’s financial backers planned to move Wright to London (which they did) to “set up a research and development centre for him, with around thirty staff working under him,” O’Hagan wrote. They would complete the work on his inventions and patent applications – he appeared to have hundreds of them – and the whole lot would be sold as the work of Satoshi Nakamoto, who would be unmasked as part of the project.